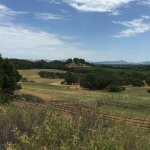 Farmers across the nation, as well as in Sonoma and Marin Counties, are wondering why they have not seen major price/cost hikes fueled by tariff increases imposed by other nations on the U.S. in retaliation for a series of Trump Administration tariff hikes since January. After an initial spike in some feed costs after the president’s first initiative was announced, prices returned to near normal, according to some Sonoma County Farm Bureau members and feed suppliers. 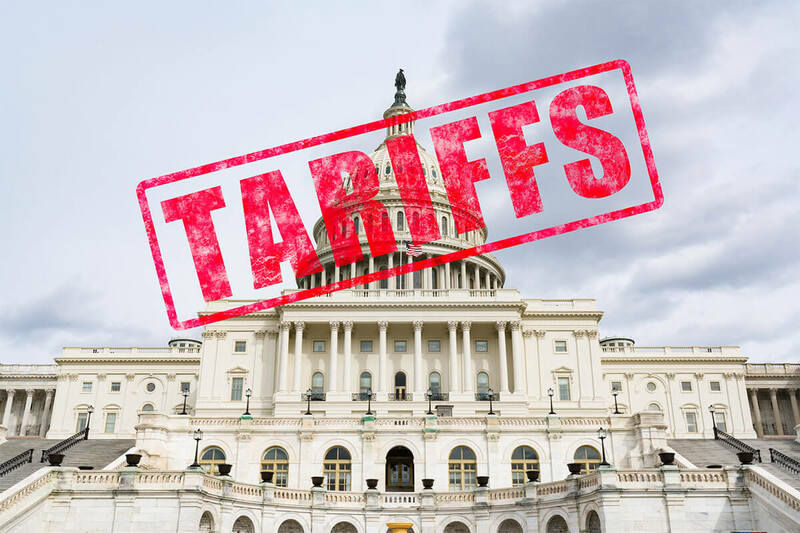 Industry watchers said that the economic affects of tariff changes take time to appear, making it hard to gauge how this controversy will ultimately pan out. The question is, when will negative effects associated with higher tariffs ripple down through supply chains to growers and ranchers? While it is still early to tell, signs are on the horizon that the time for such an outcome is getting closer – maybe as early as this fall. Many consider this to be the lull before the storm. Barry Eichengreen, professor of economics at U.C. Berkeley, and a former senior policy advisor at the International Monetary Fund, said in The Guardian July 13 that there are three possible explanations for why the economic and financial fallout due to the escalation of tariffs has not been seen yet. Eichengreen speculated that purchasing managers and stock market investors may hope sanity will prevail, or, that Trump Administration threats are just rhetoric. Another possibility is that objections from business groups, including the U.S. Chamber of Commerce, will ultimately convince the White House of the long-term dangers to the economy and the American farm industry. Meanwhile, retaliatory action from countries, such as China, can take many forms. For example, every ship carrying U.S. grown citrus, strawberries and cherries attempting to enter China’s ports are now stopped and inspected, according to U.S. exporters. Prior to the current tariff dispute, fewer than 30 percent of these ships were delayed from docking and inspected on a regular basis. Having to wait at anchor for a week or more caused produce cargoes to spoil, and ships are sent back to their ports of origin, according to Sara Neagu-Reed, Federal Legislative Associate with the California Farm Bureau Federation. Neagu-Reed said some 400 U.S. commodity groups who work with firms that do a lot of exporting are attempting to assess the impact of these tariffs as well as determine what forms of relief could be offered to farmers. However, she said the overall goal is to focus on trade, not (federal) aid programs. Neagu-Reed said tariffs will affect various crops in California differently. Pistachios and almonds for export will be affected, as will tomatoes from our Central Valley and wine exports. New Mexican tariffs already impact cheese exported from the U.S.
At the same time, lobbying efforts have also increased on Capitol Hill to utilize the USDA’s Section 32 bonus purchase plan to aid farmers. Since 1932, this program earmarked 30 percent of customs receipts to support the farm sector (in amounts ranging from $1.5 billion in carryover or unobligated funds up to $5.7 billion in annual appropriations made in recent years). Section 32 funds have often been used to buy surplus non-supported farm commodities such as meats, poultry, fruits vegetables and fish that can be diverted to school lunch and domestic nutrition programs — and to support farm economic and disaster relief activities, among other things. While portions of Section 32 are restricted (most recently under the May 2008 Omnibus Farm Bill P.L. 110-234 spelling out explicitly how the Secretary of Agriculture can use annual Section 32 appropriation), various members of Congress and their constituents want to ensure that a portion of Section 32 funds will still be available for use when necessary to help farmers recover at least a portion of their losses. Earlier this year, President Trump indicated that he wants to find a way to assist farmers who may suffer losses caused by the trade war. However, no specific details of such a plan have been forthcoming. Closer to home, Mike Webber with Sunrise Farms in Petaluma, said the price of soy and corn feed for his poultry is down (due to excess supply and a good growing season) while prices for soy imported from Canada are going up. He is sourcing his feed from suppliers within the U.S. since for now it is cheap – and getting cheaper. At the same time, Webber said the cost of organic soybeans from Northern China is increasing, meaning that the price of organically grown eggs will also eventually climb for domestic consumers here. Webber said that the U.S. is more efficient and that we have moved people out of the fields into factories. Joe Pozzi, a beef and lamb rancher said that he considers many factors related to this issue and that the long-lasting effects of the trade dispute’s effects are still down the road. Pozzi said that hay produced in the U.S. is exported as are American sheep. “ Our biggest concern is uncertainty,” Pozzi said. “It’s hard to budget these days. We buy our commodity (hay) once a year and store it to use as livestock feed during the winter. Pozzi explained that such contracts are typically made during the summer and that prices vary from year to year due to tariffs or because less or more hay is being planted. “We’re seeing more commodities being affected due to tariff changes,” Pozzi said. Dairy farmer Doug Beretta said so far, that he has not seen any major tariff impact on the grain side, but other products, such as cheese for export, are going up, due to additional Mexican tariffs on imports. The lack of a renegotiated NAFTA agreement is said to be behind the Administration’s call for increased tariffs for steel and aluminum from Canada, and products from Mexico. Beretta said that he is seeing the best weather for growing corn, and that he is buying it on a weekly basis because corn does not store well. However, he said he can store dry hay and silage for years. 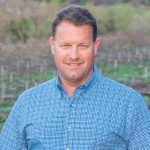 Bobby Falco, with Hunt+Behrens, Inc., a feed supplier in Petaluma, said immediately following news of higher U.S. tariffs on imports, prices for soybeans spiked, but later backed off. He said soy and corn crops from Argentina and Brazil were small due to drought and bad weather. Falco said that no one really has an answer to that questions or knows for sure. “Tariff uneasiness can impact agriculture, but China still needs to buy U.S. products, such as milk, cheese and other milk-related products,” Falco said. Falco said our president is playing poker on an international scale, and there is no way of knowing how the game will end – or who will blink first. While the U.S. economy is humming along so far in 2018, accelerating in the spring and remaining strong during the summer, the price of many consumer goods imported to the U.S. is expected to start rising in the fall as part of the global retaliation against the trade war started by the U.S. earlier this year. As the tariff battle continues, a statement from the International Monetary Fund (IMF) indicates that the overall damage to the world economy from these international trade disputes could cost an estimated $430 billion in lost GDP due to global retaliation, with America especially vulnerable with a higher share of its exports taxed in global markets. If this situation is not reversed, it could lower global growth 5 percent by 2020. According to HIS Markit Chief Asia Pacific Economist Rajiv Biswas, tariffs imposed by China are targeting U.S. agricultural imports banking on a U.S. farm lobby political backlash before the November elections, as reported by Jeffry Barish for MarketWatch in Washington, D.C. The Trump Administration proposed in July additional 10 percent tariffs on $200 billion of Chinese goods entering the U.S. market, with further retaliation expected from China. Analysts say these new tariffs would become effective in September. This would bring total tariffs on Chinese products to $450 billion. This is the latest of a series of U.S. tariff increases that began earlier this year. In January, the U.S. imposed higher (30%) duties on solar panels and washing machines entering the states, to be reduced to 15 percent after four years. In March, the U.S. Trade Representative applied $50 billion in tariffs on 1,200 categories of Chinese goods. In June the U.S. imposed a 25% tariff on steel and a 10 percent tariff on aluminum on the European Union (EU), Canada and Mexico. On July 1 China imposed tariffs equal to the $34 billion tariff imposed by the U.S.
India plans to recoup penalties of $241 million on $1.2 billion of Indian steel and aluminum. China exported about $500 billion in products to the U.S. in 2017. Without another U.S. source of supply, prices for these items are sure to rise. Consumer prices are currently at their highest levels since 2012.